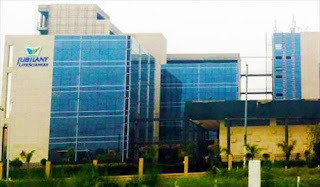 Jubilant Life Sciences Limited, is an integrated global pharmaceutical and life sciences company engaged in manufacturing and supply of APIs, Solid Dosage Formulations, Radiopharmaceuticals, Allergy Therapy Products, Advance Intermediates, Fine Ingredients, Crop Science Ingredients, Life Science Chemicals and Nutritional Products. It also provides services in Contract Manufacturing of Sterile Injectables and Drug Discovery Solutions. The Company’s strength lies in its unique offerings of Pharmaceutical and Life Sciences products and services.